Only a short walk from New York City's urban lungs and at the heart of its most elegant neighborhood, lies an address like no other, 25 East 77th Street at Madison Avenue. Welcome to The Mark Hotel. Standing as Yatzer's headquarters during New York Design Week and the International Contemporary Furniture Fair 2010, The Mark Hotel provided great accessibility to Yatzer's passions - Art, Fashion, Architecture and Design. Surrounded by some of the best NYC has to offer, we made sure we explored, captured and indulged in our New York City experience. 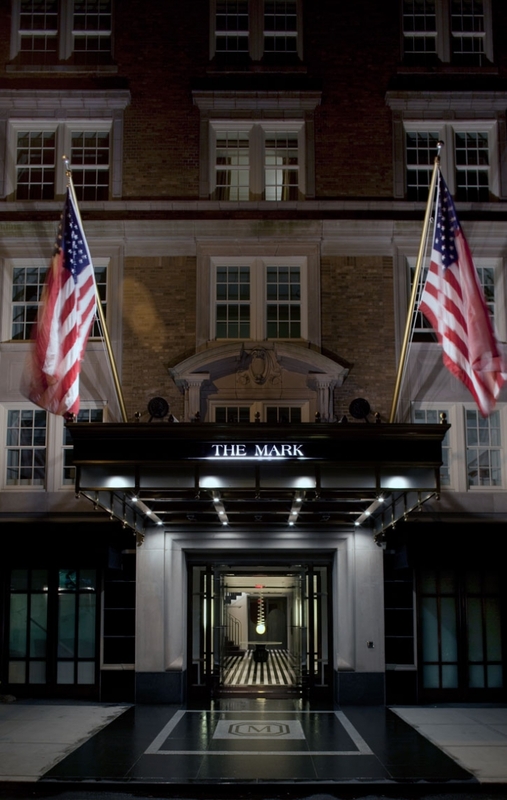 Within short proximity to The Cooper-Hewitt, The Guggenheim, flagship stores by Ralph Lauren, Tom Ford, Oscar de la Renta and many more, The Mark Hotel is just a step away from East Side luxury and culture. Yatzer felt right at home near the works of Frank Lloyd Wright, Marcel Breuer and James Polshek among others. 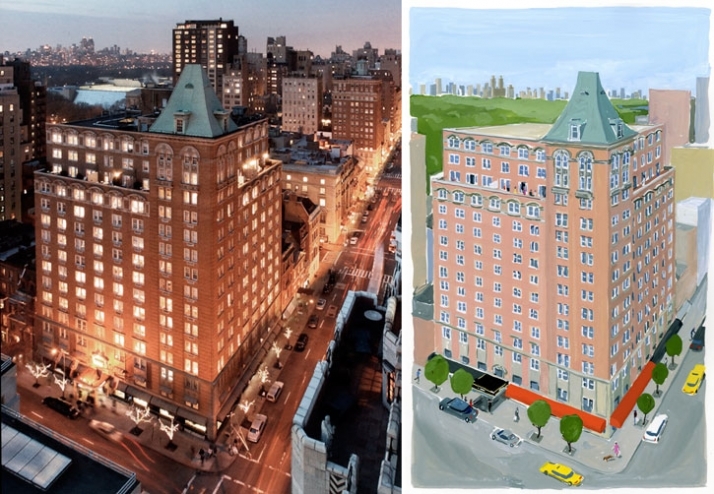 This 1927 landmark building has been re-imagined as a portal to 21st century New York City classic style and luxury. The Mark brings the elegance of an old world into a contemporary experience of exceptional service and design. The Mark is more than a home away from home, it is an inclusion to avant-garde design and old world comfort. The best experiences in hospitality begin beyond the physical property. Building the narrative is part of the foundation to what makes any great hotel iconic. As you approach the building, you can sense that you are approaching something quite special. The well defined canopy and a properly dressed man with orange highlights in his wardrobe introduces the palette and the brand. Entering through two sets of double doors lead your visual axis to an original Ron Arad pendant light floating over a marble table by Eric Schmitt. 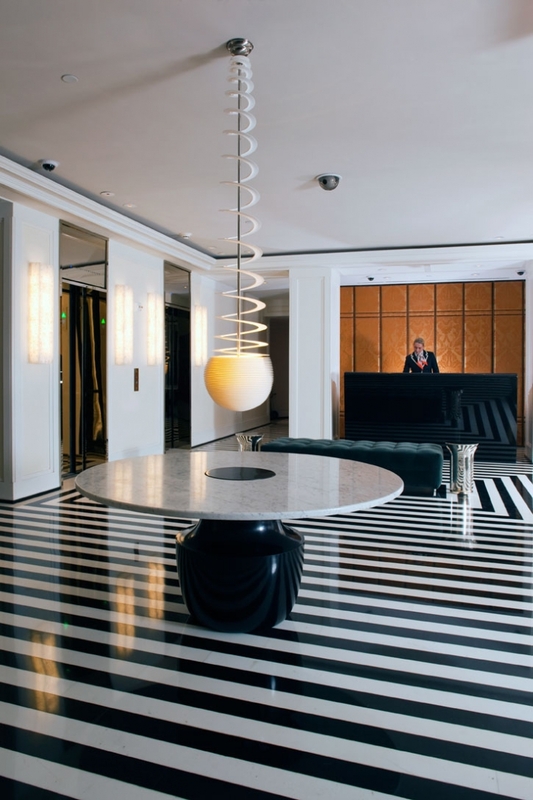 The axis is clearly reinforced by a sea of inset strips of black and white marble that expands throughout the lobby floor. An eclectic vocabulary of textures, colors, furniture pieces and rich architectural details stimulates your senses and welcomes you to your temporary home. 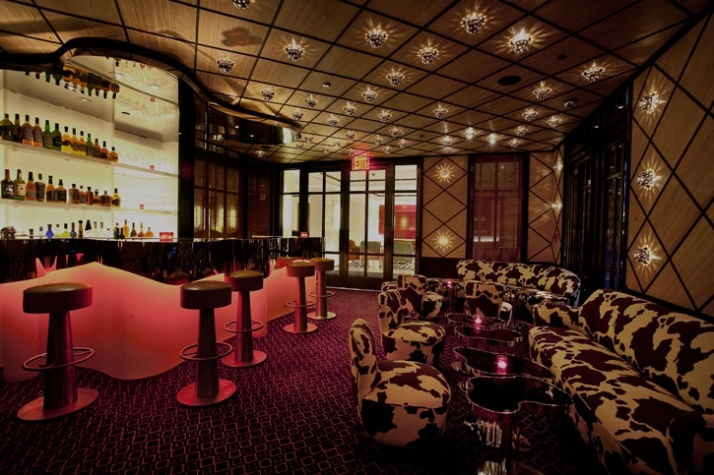 The lobby is invigorating, stimulating and inclusive to New York luxury. The interiors are a masterpiece of French designer, Jean Grange, a true master of elegance, design and luxury. 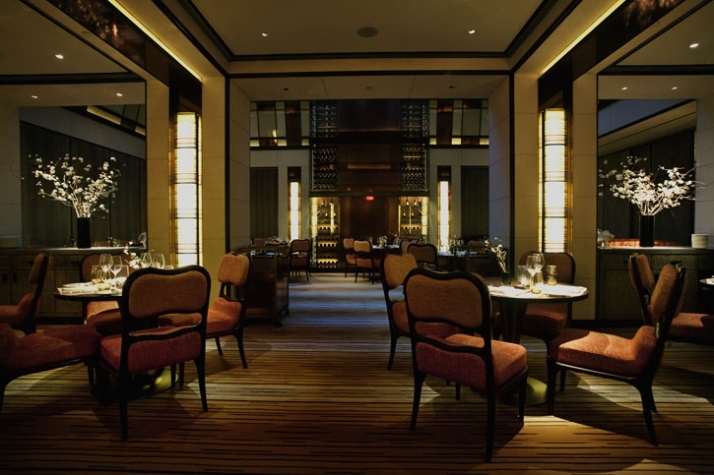 Jean Grange's passion will make this address one of New York's City most sought after hotels. Grange's approach of grandiosity, color, artistry, intimacy and playfulness are masterfully realized. The eclectic mix of furniture, textures and colors creates a seductive and exquisite hotel experience that is sure to make you crave more of it once you depart. The Mark richly layers all the facets quite well. Beautiful illustrations by Jean Philippe Delhomme narrate the story and set a humorous and playful tone to the hotel and extend the brand from space, to TV screen and paper. Every detail is carefully executed. The Mark encompasses a true collaborative effort between some of the most coveted artist, designers and professionals in their fields. The Mark Collection is curated by Pierre Passebon and features unique pieces by Anne and Vincent Corbiere, Guy de Rougemont, Patrice Dangel, Ron Arad, Vladimir Kagan, Paul Matthieu, Francois-Marie Banier and Matti Bonetti. What a team! The Mark will be engrained in your memory for many years to come. 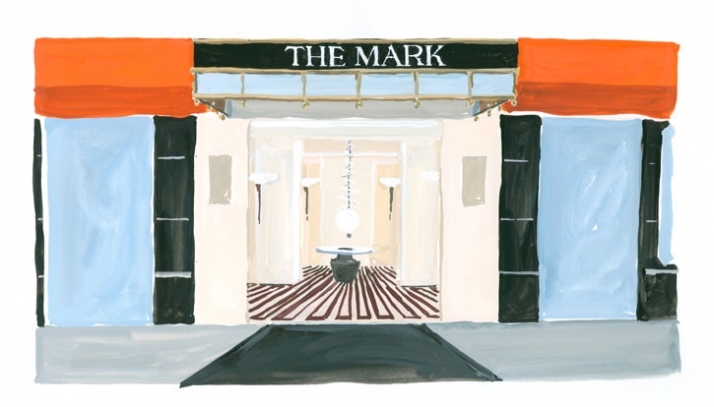 The Mark Hotel is a testament on how important experience is to creating a world class hotel. Jean Grange and The Mark Hotel team understand that a great hospitality experience is richly layered and carefully executed. By implementing solutions that tap into all of our senses, The Mark helped redefine New York City in my eyes and I am sure it will do the same to many guests for years to come. Yatzer thanks the staff, management and New York City for always doing what it does best, inspire those who occupy this urban paradise.